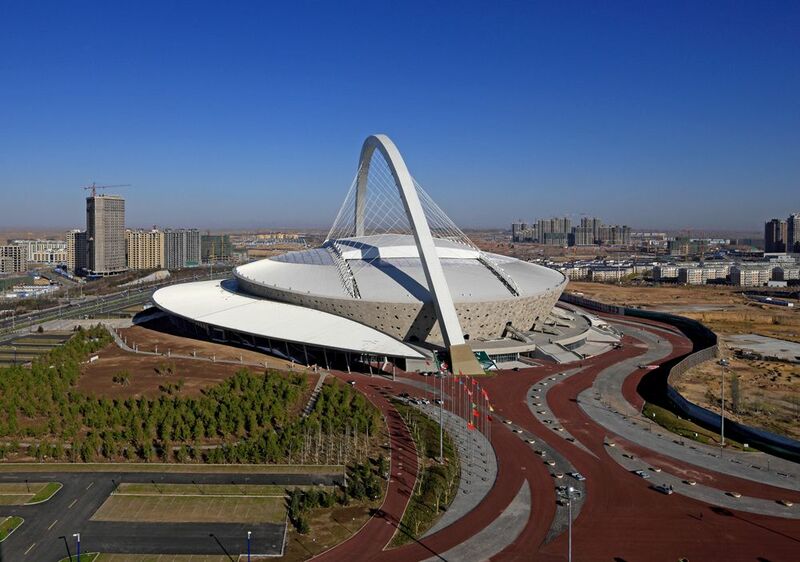 The new sports-leisure complex in Dongsheng (just north of Ordos) was built in 2011, occupying the space of over 49 hectares. 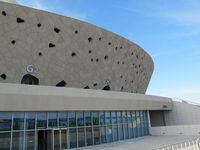 The first element delivered was its largest venue, the football-athletic stadium, opened in June 2011. 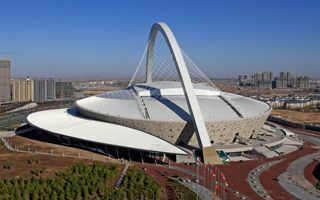 It's China's second stadium with a retractable roof, but first ever able to host large events even in winter, thanks to its outer shell being solid. 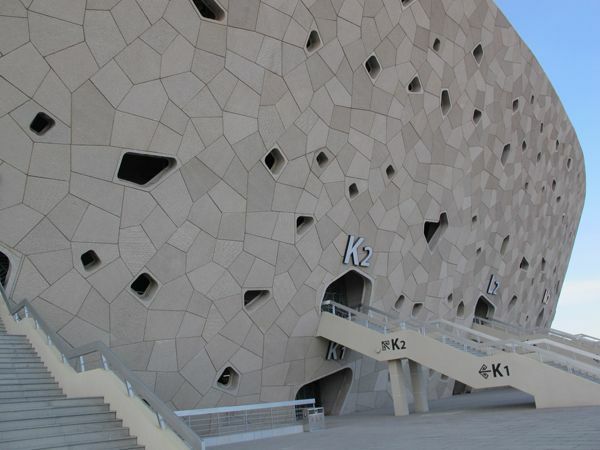 Instead of common perforated, openwork wraps, the stadium has been covered in sculpted concrete panels. From a distance they seem almost uniform, but up close one can see varying textures and slots. Kept in natural, earthy colours, the stadium is expected to refer to the ceramics of Inner Mongolia. Most iconic feature is the arch spanning over the entire stadium. 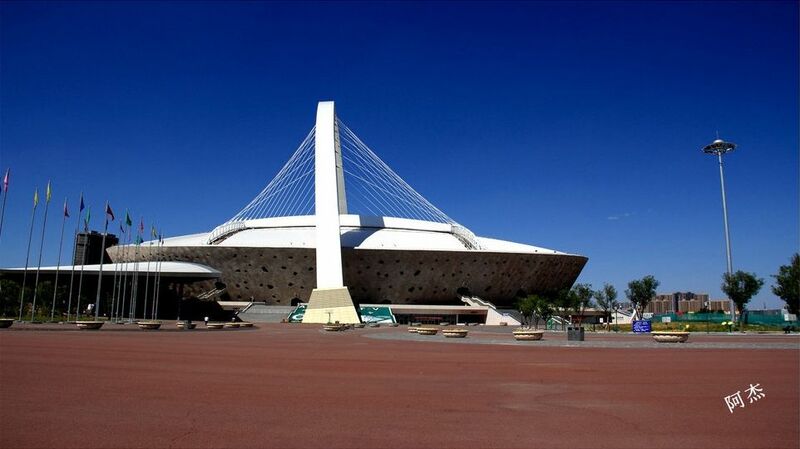 It reaches 128.5 meters at peak and spans over 330m. 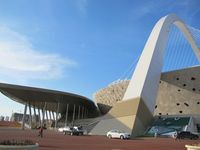 25 pairs of white steel cables support the roof frame. 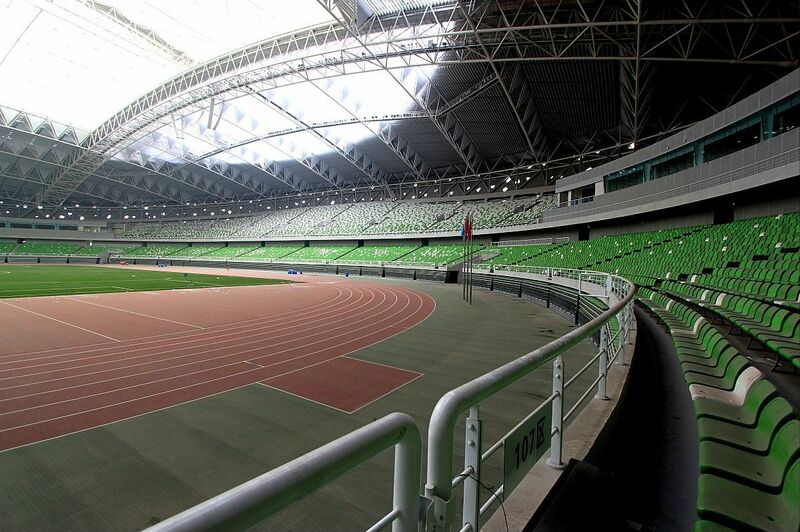 Between the cables two retractable panels operate, able to open or close 10,000sqm in 18 minutes. 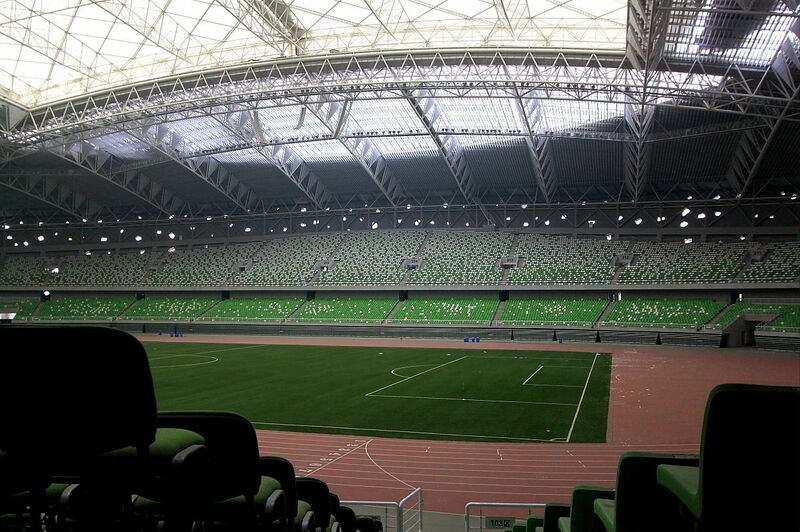 Inside double-tiered stands offer over 35,000 permanent seats and up to 12,000 temporary ones. 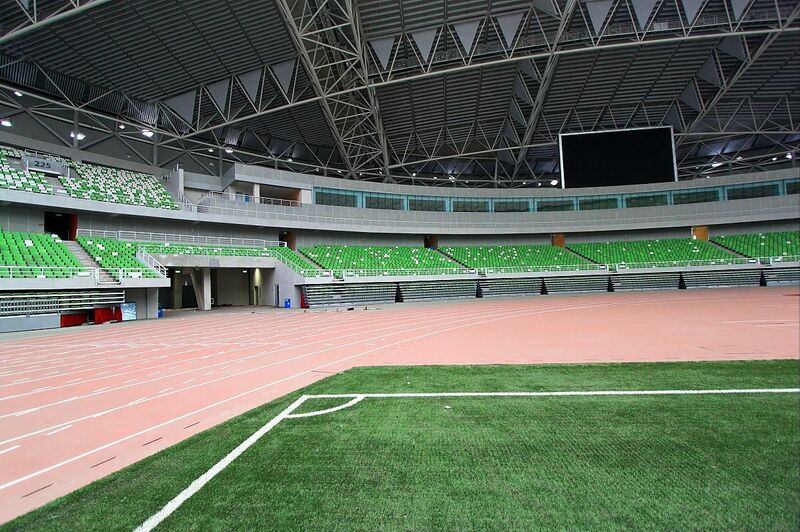 Additional capacity can be created with seven telescopic rows sliding over the running track, forming a more football-friendly layout. 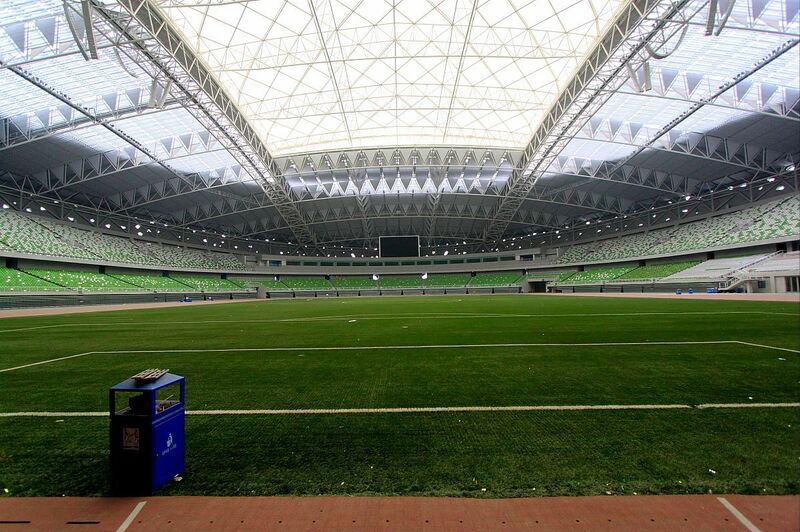 With Inner Mongolia's harsh climate and enclosed form of the stadium, it's equipped with a fully synthetic field, meeting all FIFA requirements. 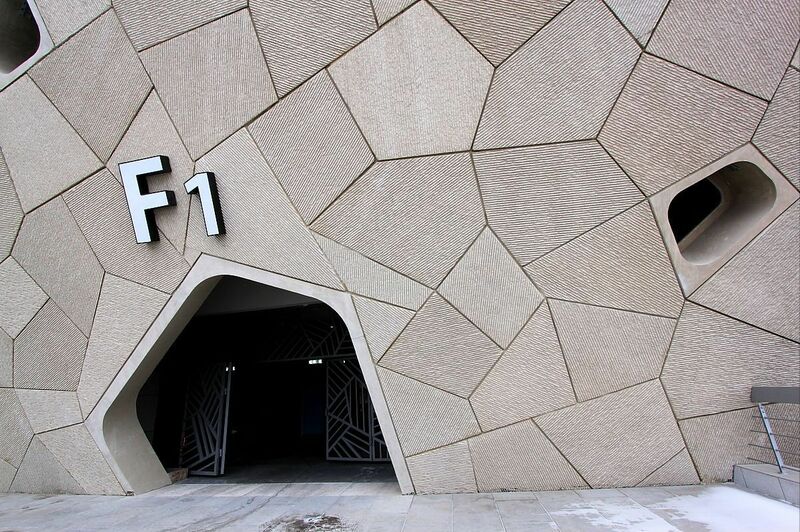 Though not the first of its kind across China, this is the first football field of this class created solely with Chinese technologies. None of these names rings a bell? No wonder, they're fairly unknown outside China. 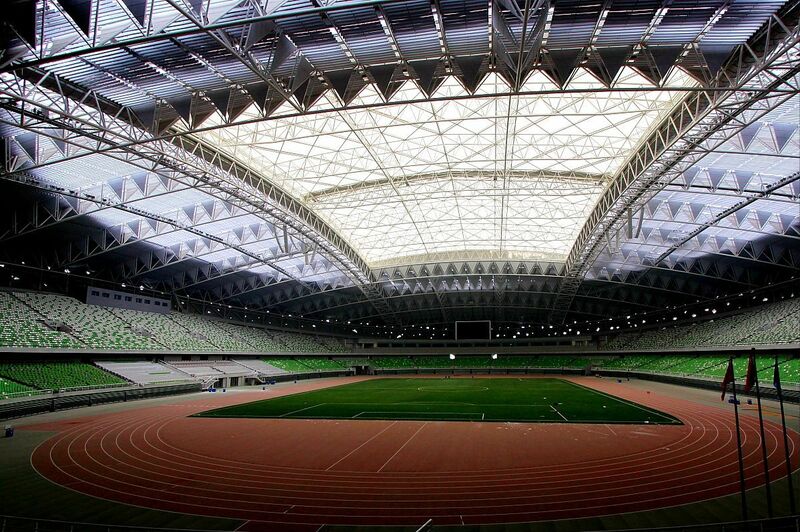 It's time to change it, because today we add the country's two only stadiums with retractable roofs. 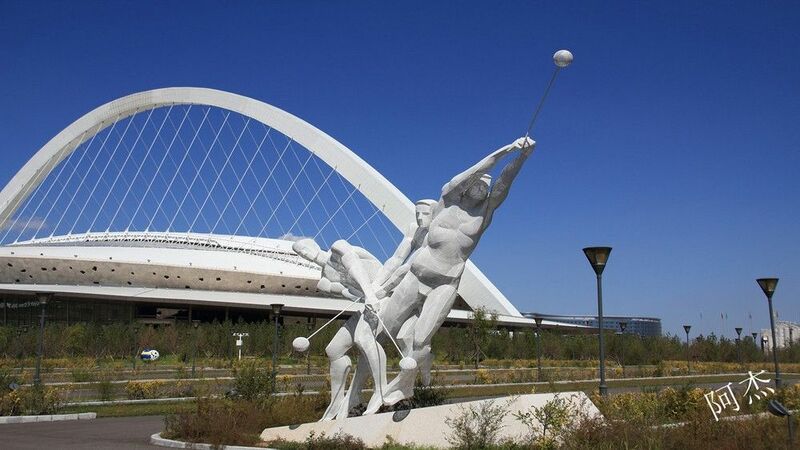 And one more “regular” sporting giant.